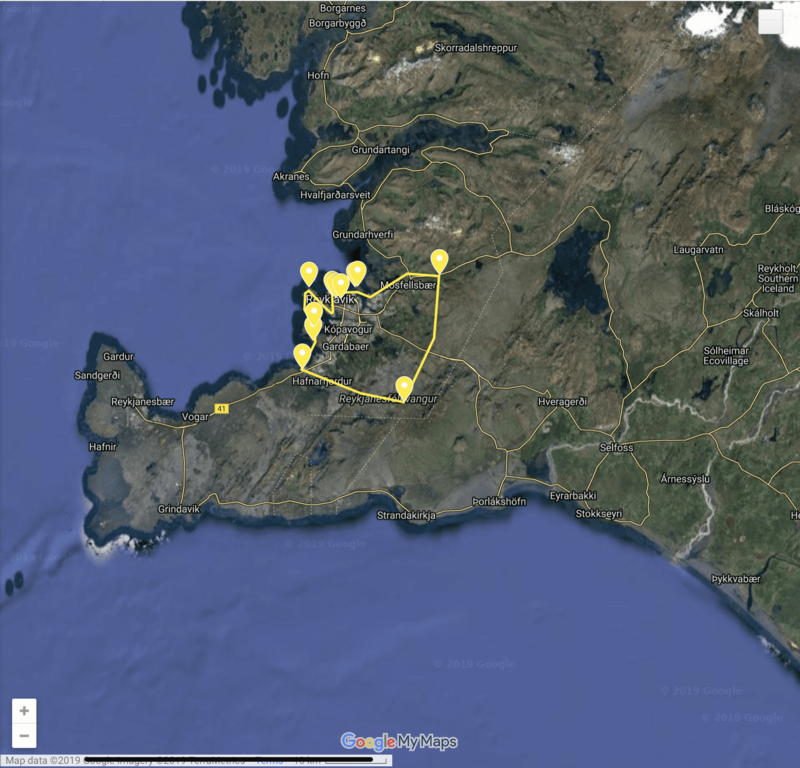 Sightseeing flight around the beautiful Reykjavik City and it´s surroundings. Joining this tour you will see the beautiful Harpa consert hall which was opened in 2011, the Sun Voyager which is a sculpture located along the north seaside and is described as a dreamboat, or an ode to the sun. You will also see the famous house Höfði which is best known as the location for the 1986 summit meeting of presidents Ronald Reagan and Mikhail Gorbatsjov, a historical event that effectively marked the end of the Cold War. The Imagine Peace Tower is a memorial which Yoko Ono built in memory of her husband John Lennon and is located on Viðey island and is lit every year in October and we will also take a look at that. You will see Gljúfrasteinn, the residence of Iceland’s only Nobel laureate, Halldór Laxness, who was awarded the Nobel prize for literature in 1955. You will also see Þríhnúkagígur which is a dormant volcano. Covering a 3,270 square metres area and a depth of 213 meters, it has not erupted in the past 4000 years. Þríhnjúkagígur opened for tourism in 2012 but was discovered in 1974. Rio Tinto aluminum plant contracts were signed in 1966. The Icelandic Aluminium Company (ISAL), now Rio Tinto Iceland ltd., was founded – and construction in Straumsvík was soon underway. Three years later aluminum production started in Iceland and aluminum production started on July 1st 1969 and we will take a look at the plant. We will fly over Bessastaðir which is the official residence of the president of Iceland and has played a dominant role in the history of the country. In the end we will fly over Grotta Lighthouse which is a small lighthouse at the north-westernmost point of Reykjavik, located on the Seltjarnarnes peninsula which is also a good place to see the northern lights.